Micromax recently lanunched its next dual SIM phone in the canvas series. The name of the phone is Micromax Canvas Nitro A310. I have bought this phone for my father, so I have personally seen its appearance and performance. I will also compare this phone with my Micromax Canvas Magnus A117, as I had bought this phone six months ago at the same price. You can consider this article as my review of Micromax Canvas Nitro A310 smart phone. I got Magnus at around 13000 Rupees at the end of February this year. Since then, Micromax had never lanuched any new phone in the canvas series until Nitro. The price of Magnus was still around 13000 Rs. after the six months. This was really surprizing for me! Because, the features and built quality of Moto E (I use it) and Moto G were far better than the Canavas series. Motorola had started to capture the smart phone market in India and Micromax suddenly seemed to be the out of competition, after they have just started to be on the top of the Indian smart phone market. I was confused, but I did not know that Micromax had been preparing for something big. They either doubled or improved all the features they have in Mangus at the same price! They lanunched Micromax Canvas Nitro A310 exclusively on online shopping site snapdeal.com. I have to say, Micromax Nitro is ‘Nothing like Anything’ at the corresponding price range. 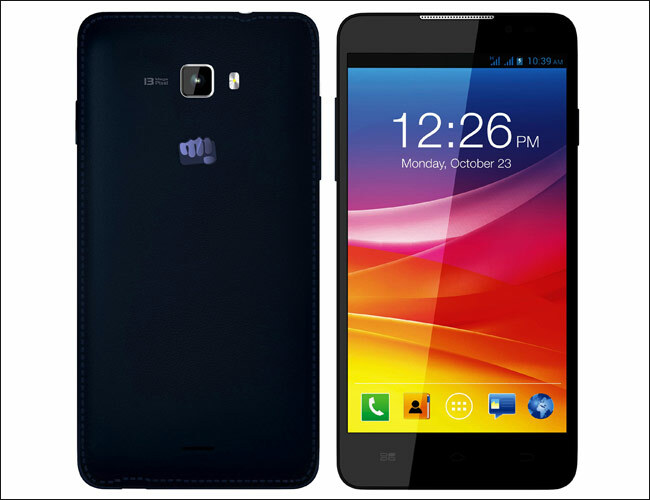 Price – You can buy Micromax Canvas Nitro A310 online at a low price. The current price range is between 11500 Rs. to 13500 Rs. If you compare other phones within the same price range, Micromax Canvas Nitro is currently the best deal. Micromax Nitro is now available on all the top online shopping destinations in India. See the current price of Micromax Canvas Nitro A310 on Flipkart and Amazon India. Processor – The canvas series phones used to have quad core processor, but Mircromax Nitro comes with very powerful 1.7GHz Tru Octa Core Processor. RAM – The RAM of Nitro is 2 GB. The RAM is double than that of any other smart phone in the same price range. The previous canvas series phones including Magnus have only 1 GB RAM. Internal Memory / Application Memory / ROM – Internal memory had been the noticeable issue for any Micromax smart phone. They paid attention to it in their new phone. The internal memory of Micromax Nitro is 8 GB. User Memory that we use to install apps and save media files is 5.68 GB. User memory is the part of internal memory. External Memory is expandable upto 32 GB. Today, 32 GB memory card comes at only 900 Rs. I actually bought Nitro and transcend 32 GB memory card together online in a single order. Battery – Battery can be the concerned for many users, as smart phone batteries tend to discharge at faster speed. This phone has almost 25% more powerful battery. Micromax Nitro comes with 2500 mAh removable battery. They redesigned the charger into more compact size. DC Output of the charger is 5 V and 1 A. Camera – I really admire the camera quality of Micromax phones. I have seen the camera quality of Moto E, Moto G, Samsung Galaxy Grand 2, but Micromax surely provides the best photo quality between its top competitors. Micromax Nitro has 13 Megapixel Auto focus main (back) camera. This camera has Largan 5P Lens with Sony IMX135 stacked with CMOS sensor. It offers 1080p HD video recording. You do not need any external application for capturing selfies. 5 megapixel front camera is powerful enough to take beautiful pictures. Front camera has F2.4 aperture, 22m wide-angle lens with 75-degree viewing scope. Music – I really do not like the sound quality of Micromax Canvas phones without headphones. Music is not my concern, but if you are looking for a music phone, then I suggest you to buy other phone in the same price range, like Moto G.
Appearance and Feel – I do not appreciate the music quality and the feel of my Micromax Canvas Magnus. Magnus has smooth but slippery back cover. You do not get that feeling of control when you hold Magnus in your hand. I am glad that Micromax team has noticed this issue. Micromax Canvas Nitro A 310 has leather back panel with better grip. Grip is important, when you hold a 5 inch phone in your hand. Weight and Size – The first thing I noticed when I held this phone in my hand is that this phone is very light weight, even though it is feature rich. It has 5 inch screen with 1280 x 720 HD resolution and 16 M colours. Diwali Offer for Micromax Nitro – You can get cash back up to 10% on Micromax Canvas Nitro smart phones on the selected credit cards and debit cards. Micromax Canvas Nitro A310 is highly recommended, if you are looking for a smart phone between 10 to 15 thousand rupees. Please share your thoughts or experience about this phone in the comments section below.